In antiquity, the rock promontories that flank the entrance to the Strait of Gibraltar were the westernmost destination of Hercules' twelve labors. From the Greek perspective, they marked the end of the world. For us, they are the beginning of the Mediterranean. In 2011, we worked our way along the Atlantic Coast of France, Spain and Portugal, and ended the season on France's Mediterranean coast. The trip began in England, and with a slight move westward to Weymouth before we headed south. An overnight sail took us to Camaret-Sur-Mer on France's Brittany coast. Another long sail took us from France to the tip of Spain's Atlantic coast. 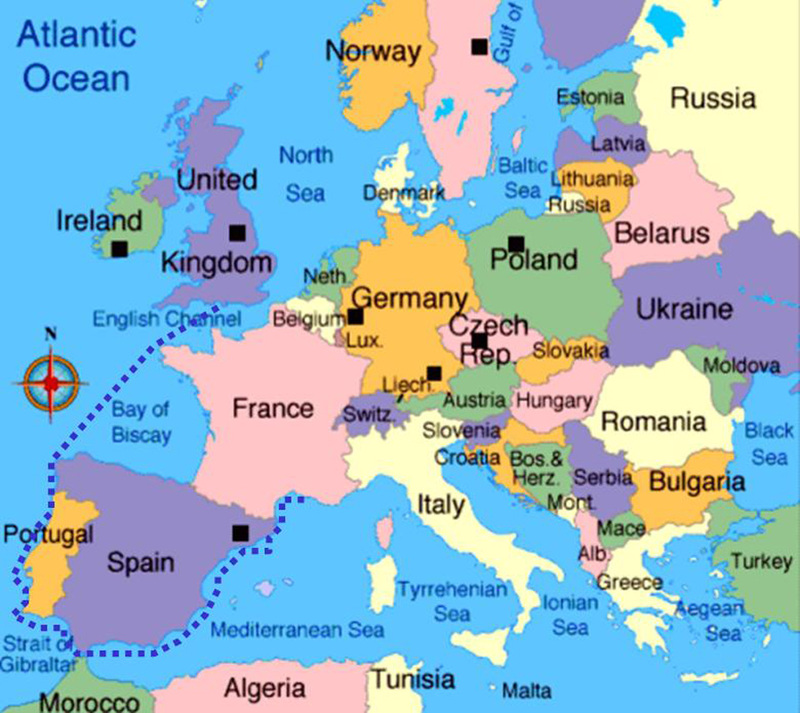 We continued on to Gibraltar and into the Mediterranean, along the coast of Spain and to France. At the end of the season, we left the boat for the winter at a boatyard near Marseille.